A creative way to use a simple house hold object! Make sure you wrap them a couple times around so they can’t break out as easy. 2. Course. This will be the course you lay out for each group to complete. You can use cones or have then run around chairs. Just make sure they know where they need to go. Set up your course! Make it challenging but keep it away from anything you don’t want to break as well as anything that might hurt to fall on. If one of these groups go down they will go down hard! This is a timed event! 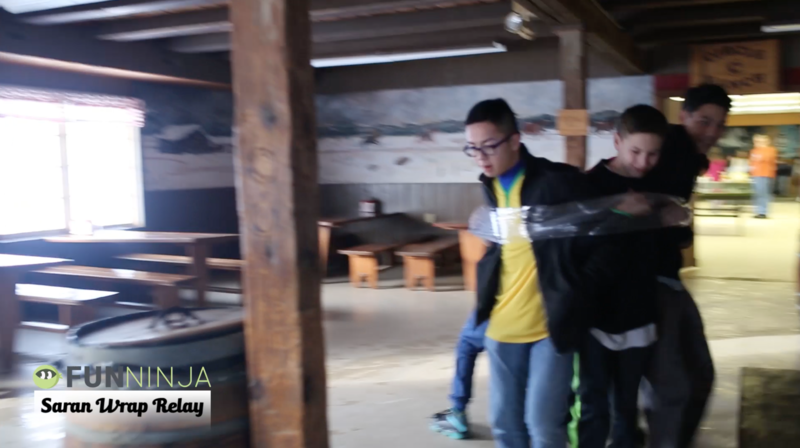 Get a group of 4-6 students and wrap them in saran wrap and whatever group can run through the course you create the fastest wins! 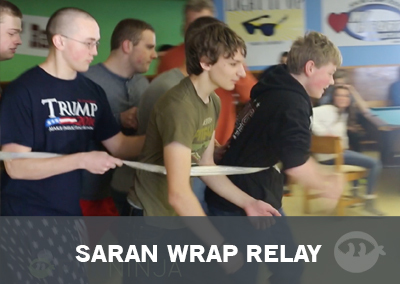 Of course if anyone falls out of the saran wrap or comes unattached to their team they are disqualified.